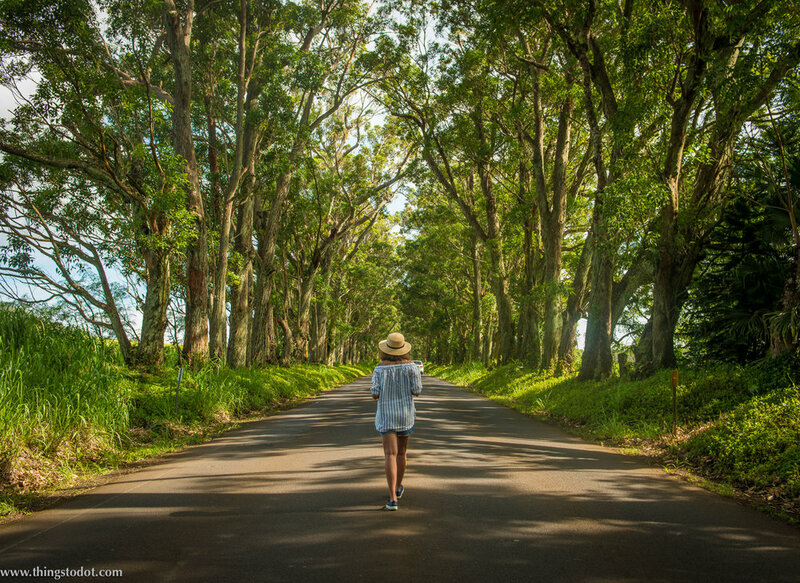 The Tree Tunnel is a magical tunnel of Eucalyptus trees that line the Maliuhi Road just off Highway 50 on the south shore of the island of Kauai. It is also the way to go to the Old Koloa Town and Poipu. Tourists need to exercise caution while taking pictures in the Tree Tunnel as it is a very busy road. Never stop in the middle of the Tree Tunnel to take pictures! I have heard that once in every six months there is a tragic accident when someone wanted to stop in the middle of the tunnel. There is a place at the very beginning and also at the very end of the tunnel where you can pull off to take pictures. We stopped at the very beginning of the Tree Tunnel and had to wait a while before we were finally able to get some pictures. I have to confess that I was a little anxious jumping on and off the busy road to get the perfect shot! Pictures by Patrick Kelley (www.pk-worldwide.com). You might also want to check out the following posts on Kauai with some amazing pictures!